The launch of Screenworks Regional Screen Enterprise Program in Bangalow on Tuesday Feb 12, highlighted the pivotal roll that Screenworks plays as the gateway for TV, film and digital media in the Northern Rivers of NSW. From bringing in major players in the industry to creating access and opportunities for local producers, through to behind the scenes production attraction, Screenworks has been building the screen industry in the Northern Rivers of NSW for around 14 years and the professional development program planned for this year will continue to do so. Some of the highlights for Screenworks Regional Screen Enterprise Program include bringing key screen industry representatives from major production companies who have strong working relationships with the broadcasters, to the region to give local producers and creators access to genuine industry opportunities; a pitching clinic; a Screen composing workshop with Guy Gross; a seminar on Opportunities in Asia to be held at the Byron Bay Film Festival and a seminar with representatives from the major Australian broadcasters. Behind the scenes Screenworks is the pivotal point for productions coming to the region. Screenworks is currently working closely with Screen NSWs Production Attraction Unit on a major project with American executive producers flying in shortly to ‘recce’ the region. This production, if secured for this region, would bring in millions of dollars and generate hundreds of jobs. 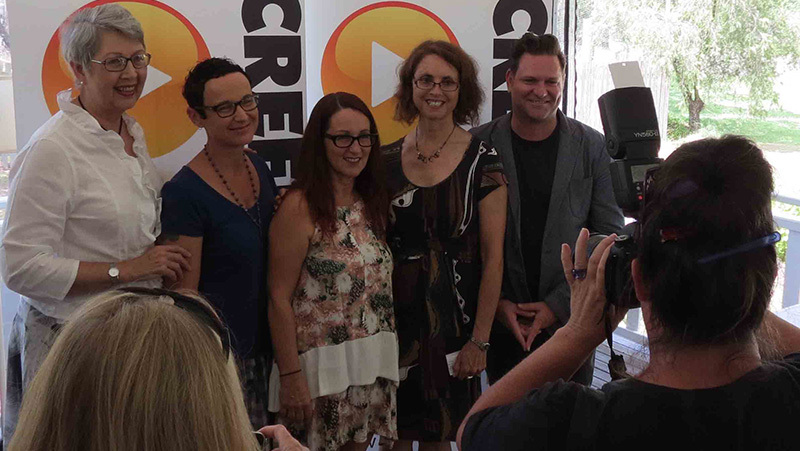 Screenworks Regional Screen Enterprise Program was launched by Lismore Mayor Jenny Dowell, Byron Shire Mayor Simon Richardson, Screenworks Chairperson and producer Lois Randall and writer producer Deb Cox. For more information on Screenworks Regional Screen Enterprise program click here.